PLEASE BE PATIENT: OUR NEW SITE IS CURRENTLY UNDER CONSTRUCTION. 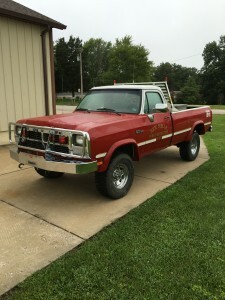 Now accepting sealed bids for this 1992 Dodge pickup. 4 wheel drive and manual transmission. 94,584 miles. Bids accepted until September 9th.